Advanced Orthodontics and Dr. Larrabee brings Mesa, Gilbert, and Chandler, Arizona the latest in orthodontic treatment using 3D I-Cat imaging, Invisalign and clear, self-ligating braces to tailor available treatments to each individual. Invisalign offers a comfortable, metal-free option to improving your smile. Using 3D-technology, Dr. Larrabee develops your custom treatment plan and works closely with Invisalign to create custom clear aligners according to your exact orthodontic needs. These invisible aligners are easily removable, making eating, drinking, brushing and flossing still incredibly convenient. Propel is a safe, innovative device that many patients choose in order to expedite their treatment. Propel is used in conjunction with your current orthodontic treatment to help move teeth into their desired position up to 50% faster and helps minimize soreness that’s associated with shifting. At Advanced Orthodontics, we treat a variety of child, teen and adult patients throughout the Valley with high-tech braces and Invisalign. It is recommended by The American Association of Orthodontics that children be seen by an orthodontist by the age of 7. Dr. Larrabee sees these patients free of charge to take baseline records and 3D scans, as he feels it’s important to evaluate their growth and development to determine what, if any treatment is needed as early as possible. 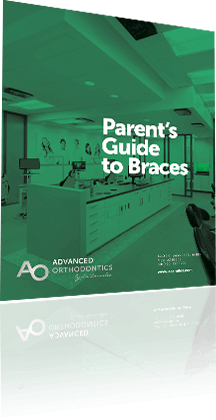 With our less noticeable high-tech braces and Invisalign teen as options, your teen can find a treatment option that makes them both comfortable and confident. We understand that teens have a lot going on in their academic and social lives and have done our best to create a relaxed, hassle-free orthodontic experience with flexible office hours. Orthodontic treatment is not just for children and teenagers. We believe it’s never too late to improve your smile and bite to create a healthier, more functional bite. Our low profile treatment options include Invisalign and clear braces.